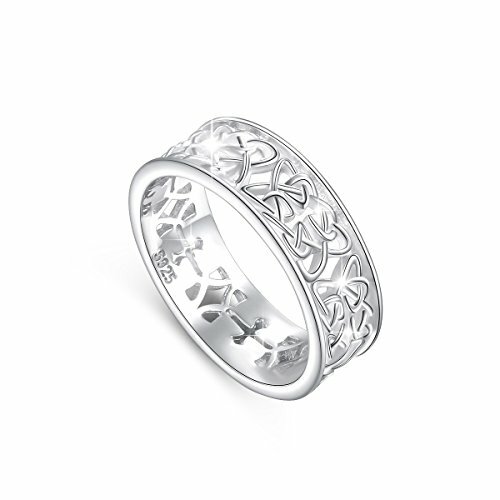 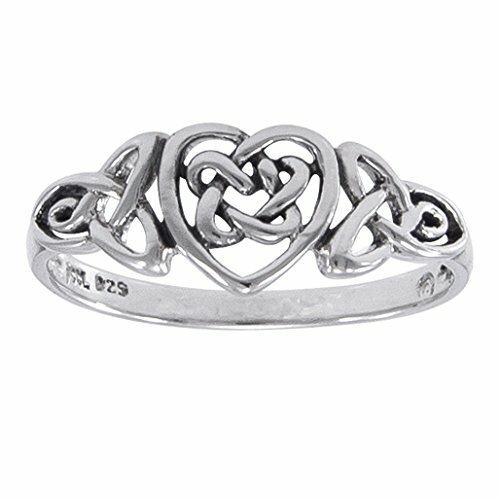 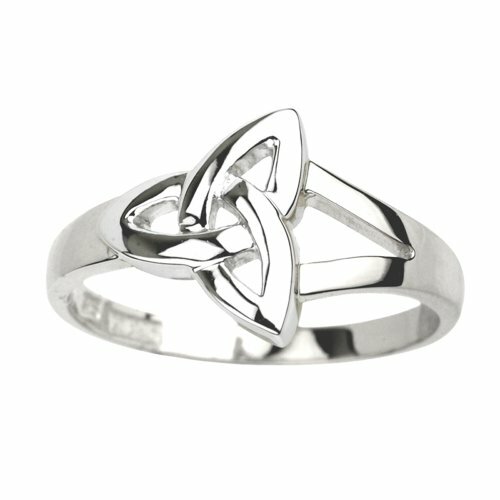 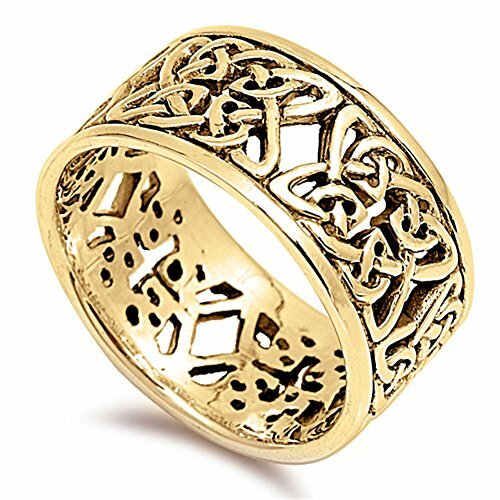 This Romantic Knotted Heart Ring was Inspired from the Patterned Artwork of the Legendary Celts. 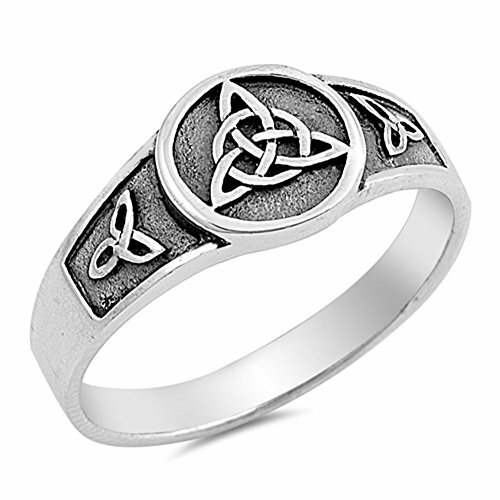 The Trinity or Triquetra knot is set on both sides of a centered open flower knot which symbolizes the eternity of life, without beginning, without end. 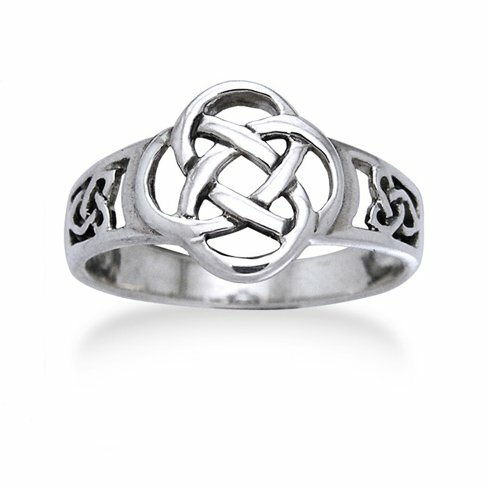 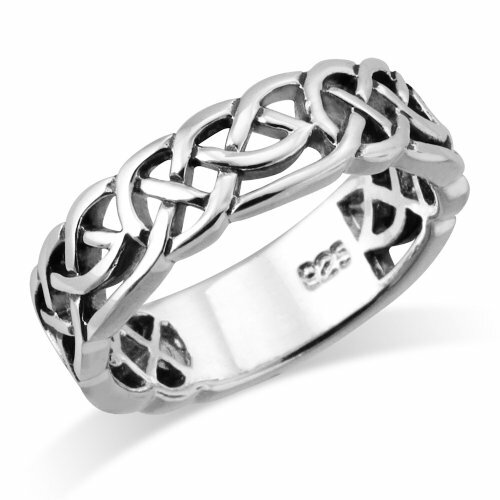 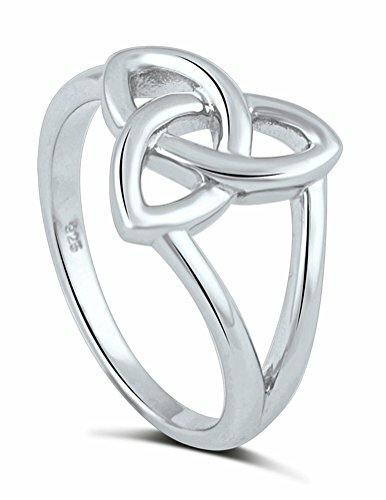 The ring is crafted of nickel free sterling silver and the flower knot is about 1/2" from point to point. 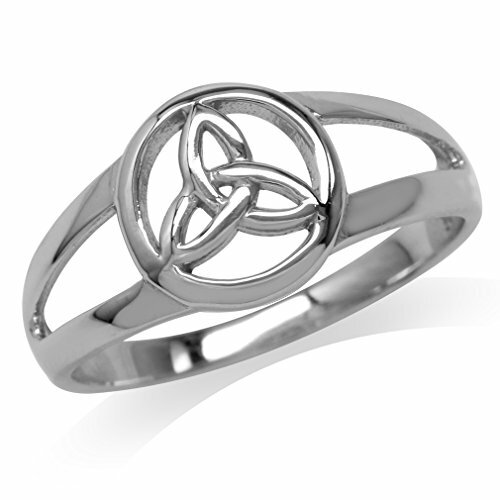 The meaning of the Triquetra/Trinity knot!